Children love animals. Their development can be, it has been proved, be affected greatly by the extent and the nature of their interaction with the family pet. The young minds, impressionable as they are, grow as they develop emotional and social bonds with the pets at home. Parents will of course complain that a pet comes with a lot of extra responsibility and that having one also means extra work but the joy of seeing the li’l angels at home forge incredible bonds with the animals is beyond measure. 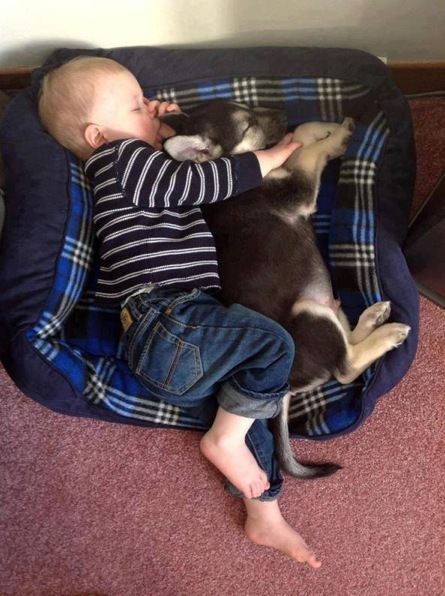 These pictures below show why babies must have a pet in their lives. 10 Reasons Why Dachshunds Are The Masters Of Getting Into Trouble!